I’m Raymond Inzitari, and I’m the founder of WoodScape Maps! I started tinkering with woodworking, lasering, and other stuff in the summer of 2017 in Philadelphia while working another full time GIS job. I was inspired by other makers (Phillylovenotes, Shawnxstl) and I got the idea soon thereafter to combine the power of GIS, lasers, and Openstreetmap to produce beautiful wooden maps. It wasn’t easy, but I spent over a year refining my craft and building the digital infrastructure that would eventually support WoodScape Maps. I soon left my comfy but unsatisfying office job to finally found WoodScape Maps the following year; as cliche as it may sound, “pursuing your dreams” is exactly what I’m doing. 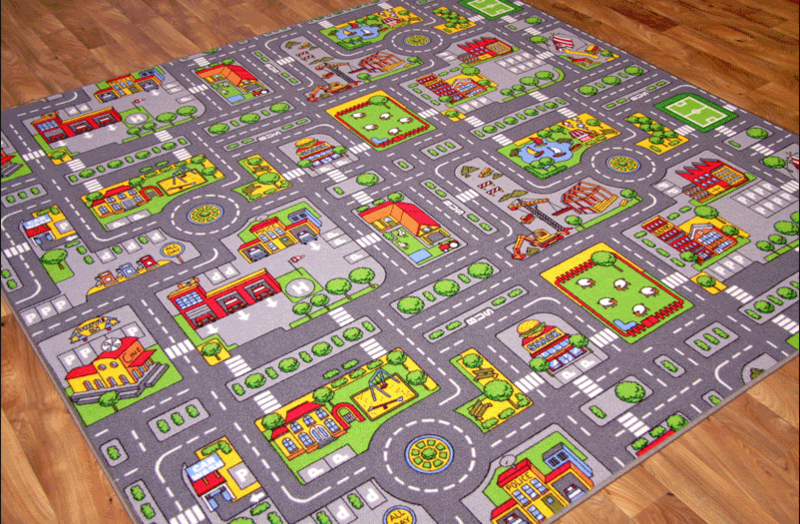 As a kid, I loved playing with legos, toy cars, and this. I’d take all those things and make little cities come alive over the course of hours. As a teen I’d sketch maps in notebooks of imaginary places, I’d play games like Sim City or Civilzation, and I’d read National Geographic and daydream about traveling abroad someday. In hindsight, it seems I’m exactly where I belong now. After a tumultuous four year stint in the army where at one point I found myself in a military headquarters in Baghdad plotting pins on a huge wall map of the city for military intelligence, I went to Rowan University and got a degree in GIS. My first efforts to participate in the Openstreetmap project took place here and I also contributed to research on climate change. I also did a bit of travelling abroad and stumbled upon the Gallery of Maps located in Vatican City. It’s funny how things turn out, and I never would’ve thought I’d be doing what I am today. In hindsight, it all seems like a peculiar series of cascading events that just had me in the right place at the right time. I didn’t start out with a grand vision or huge goal, but I created one along the way; I simply reacted to the circumstances around me and the resources I found while taking full advantage of the skills and knowledge in mapping I acquired over the past decade. None of this would be possible today without the incredible professors at Rowan and staff at NextFab and I’d like to give huge thanks to all of them!